We ask that all writers be at least 18 years of age. Writers will have a strict schedule to adhere to based on availability. Each writer will be assigned an editor who will provide them with consistent work. Most events are on a first come, first serve basis. Please NOTE that this position is purely voluntary. Write in with your CV to info@thebanginbeats.com and we will get back to you! Breaks pioneer Rick West dies in Tampa, Florida. 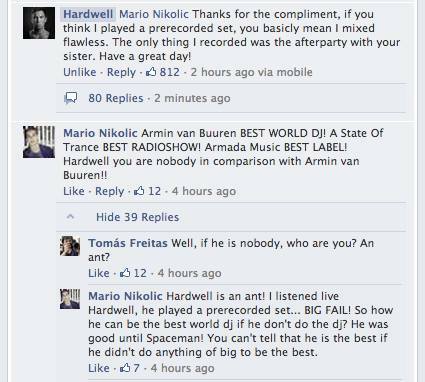 Hardwell reacts to hateful comments of an Armin fan; Involves fan's sister! Noisia Reveal New State-Of-The-Art Studio!